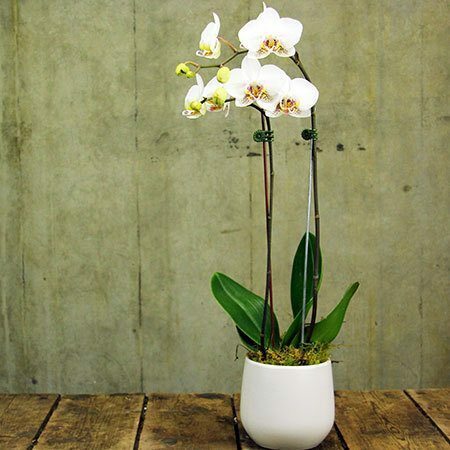 A delicate white Phalaenopsis orchid plant is the perfect gift for Xmas! This beautiful indoor plant will look gorgeous in a friend, client or family member`s home over the Christmas period. Presented in a ceramic pot and adorned with a stylish festive ribbon, you can order these plants online for flower delivery right up until Xmas Eve!